It didn't take long for another public spat to break out between newly-minted Philadelphia District Attorney Larry Krasner and local police union head John McNesby. McNesby, the outspoken president of Philadelphia Fraternal Order of Police Lodge #5, blasted Krasner's remarks to a group of police cadets Wednesday. A spokesman for Krasner is labeling McNesby's accusations as outright lies. In a letter sent to the cadets Thursday, McNesby told them to disregard a "ridiculous and dangerous presentation" Krasner gave them at an event hosted by the Guardian Civic League, a chapter of the National Black Police Association. "He has intentionally sought to endanger your lives by his outrageous effort to 'instruct' you on the use of your firearm," McNesby wrote. "You are officially urged to completely disregard his dangerous and despicable remarks." McNesby then brought up Krasner's history as a civil rights lawyer who has sued police multiple times on the behalf of groups like Occupy and Black Lives Matter, writing that the district attorney's "only known talent" is "concocting" a "series of outrageous legal suits." "He has NO experience in protecting the public, making arrests or use of firearms and he has NO right to stand before you and advise you to endanger your lives," McNesby wrote. Ben Waxman, spokesman for Krasner's office, called McNesby's letter "wildly inaccurate," noting McNesby didn't attend Wednesday's event. 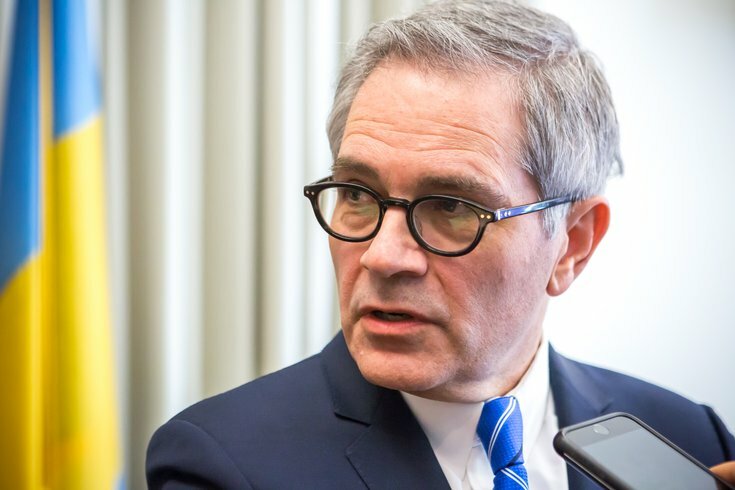 In a series of tweets, he said Krasner outlined possible scenarios in which an officer would and would not be charged for their conduct and didn't instruct them on use of force. Waxman went on to say McNesby's summary of the event was a "total lie," adding that there's video of Krasner's remarks. He said the district attorney's office invited McNesby to view the video, but McNesby declined. Waxman told PhillyVoice they were in the process of making Krasner's remarks available to the media while still protecting the identity of the cadets who attended the event.